You may have noticed earlier this month that the AdWords Bid Simulator tool has a new feature which offers estimates for conversions in addition to impressions and clicks to show how bid changes may affect conversion volume and values. For each bid option that appears in the tool, the bid simulator gives the number of conversions and conversion values if assigned or set. As Ginny Marvin explains, conversion estimates display how many clicks you would likely result in a conversion in one day, based on a “recent 7 day period.” Notably, Google does not say their estimates will be based on the most recent 7 days. 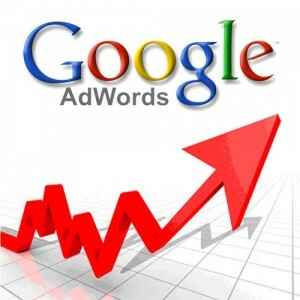 Google says the estimates will be more accurate if you have more conversion history and conversion volume in your account, so you will want to have conversion tracking set up and stable for a couple weeks before you start trying to use the bid simulator conversion estimates. Is Your Site Struggling Due to a Misplaced NoIndex Tag? Sometimes the source of the problem is so glaringly simple that you would never consider it. This is the case of many webmasters frustrated with their sites not being indexed or ranked by search engines. While there are numerous more technical reasons search engines might refuse to index your page, a surprising amount of time the problem is caused by you telling the search engine not to index your site with a noindex tag. This is frequently overlooked, but it can put a complete halt to your site’s rankings and visibility. Thankfully it is also very easy to fix. The biggest hassle is trying to actually find the redirect, as they can be hard to spot due to redirects. But, you can use a http header checker tool to verify before the site page redirects. It looks like a lot of your pages had a noindex robots meta tag on them for a while and dropped out because of that. In the meantime, that meta tag is gone, so if you can keep it out, you should be good to go :). When you encounter a problem with your site ranking or being indexed, it is always best to start with the most obvious possible causes before going to the bigger and more difficult mistakes. While we all like to think we wouldn’t make such a simple mistake, we all also let the small things slip by. https://www.tulsamarketingonline.com/wp-content/uploads/2018/11/seo-3559564_1280.jpg 797 1280 Taylor Ball https://www.tulsamarketingonline.com/wp-content/uploads/2018/07/TMO-Logo.png Taylor Ball2013-11-25 13:14:412013-11-25 13:14:41Is Your Site Struggling Due to a Misplaced NoIndex Tag? The best websites are all designed with the unique needs of a business and their customers in mind, but don’t think there isn’t some common ground between them. Web designers have their own process and plan when it comes to making a new site, but they all share some web design elements that simply can’t be left out. These elements make a site go from boring to exciting and they ensure users are always happy with their online experience. Today, Carrie Cousins shared 10 different parts of a website you can’t neglect if you’re hoping for success. 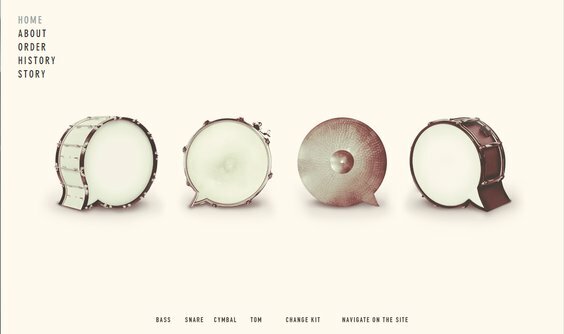 Space is the basis for all web design. Space dictates the flow, readability, mood, and style before you’ve even begun to consider the details of your site. The best designers all have a solid grasp on how to use space and they experiment with space in ways no one else is. Whether designers are playing with the idea of wide open space or creating a more clustered environment, you have to take the time to actively decide how you want to manage space if you want a successful design. Space also plays a strong role in determining the focus of your page. Any image or text surrounded by open space will automatically seem more important and even larger than a design element crammed next to other aspects fighting for attention. Visitors can’t actually use your site if they can’t easily navigate it. Every website should have obvious, easy to use, easily identifiable navigation. Even the most complex sites should be able to be fully explored from a set of five to ten menu items. Navigation doesn’t always have to come in the form of a menu up at the top. Navigation can also be simply telling your visitors how to use your site, such as adding arrows to a parallax scrolling website. While it may not be the most exciting part of web design, including an ‘About Us’ page is indescribably important for a smaller business or site owner to tell visitors who they are and what they offer. While it may not be as essential for major companies, you will notice even they tend to include one of these pages. The trick is to keep it simple. You want to tell visitors enough about your brand and what you bring to the table to interest users, but you don’t want to bore them. This shouldn’t be just a simple template page. It should be kind of like a long-form business card. Short and sweet, but informative, and visually interesting enough to help you stand out without distracting. Without contact information, how are you expecting to get feedback from visitors? Contact information is important for letting your visitors reach out to you, but it also helps validate that you are who you say you are. Nothing makes a site seem sketchy like not being able to find a way to contact a business easily. To make it easier for users to find and reach out to you, you want your contact information to be highly visible and contain all of the modern ways users might want to connect. A phone number and physical address are absolute musts, but you should consider including social media profiles of yours such as Twitter and obviously an email address is expected for any website. Most websites are created with an objective in mind. Whether you want to make a sale, educate the public, or gather contact information to more thoroughly connect with your audience, there is some goal you are hoping to achieve. A call to action is how you get your users to fulfill your goal, and it should be obvious and strong. You wan to start out by determining exactly what your objective is, then design it so that action is immediately obvious. Color, contrast, and space are all useful tools for drawing users to the buttons and pages you want. Even a common signup form is an example of a call to action in web design. The best way to use one of these sigup forms is to place it in a prominent location on the page and make it simple enough to not disuade users from filling it out. It is absolutely shocking how many sites feel they don’t need a search function. Think about all the times you wanted to look up some older information but you weren’t able. Chances are, if you use a site regularly, you will eventually want to search for something, and being stonewalled by a negligent designer can be a real problem. Implementing search bars is rather common practice, and you all have to do is design that box to be unobtrusive but available. If you want to use an icon, the magnifying glass is accepted shorthand for search, using something else can be confusing. Many sites use the footer area as a dumping ground for all the information that would otherwise clutter up their site. These unorganized blocks of links aren’t entirely wrong, but they fails to take advantage of the space. Instead, you should try to use the area to communicate a short message or important information in a condensed form, while including those important links in a clear and organized form. The footer should be simple and streamlined, but it is a good place to include contact information, a small site map, and a selection of important other information. Make it easy to use and understand. It should seem pretty obvious, but every button should look like a button. Pick a visual cue for your site and stick with it so every button is clearly available to users. Not only do you encourage user to click around your site more, but you’ll avoid frustrated users who can’t navigate your page. Using a consistent style is important for web design and branding. Consider how people are accessing the internet. Smartphones, tablets, and even gaming consoles are all used to browse the web, and most of these have high resolution screens which leave little to the imagination. Users want images to create a visual interest, but you can’t skimp. Low quality images are going to look awful on a ‘Retina’ display. However, with just a few high quality custom images, you can make your site stand out from the crowd. Just a few years ago, the internet ran on just a few typefaces for everything. They were considered to be the most readable and they solved the issue of making sure every visitor could see text. But, those limitations no longer exist. You can use almost any font you want and you won’t have too many problems. However there are two reasons web fonts are still important: compatibility and licensing. When you use a web font service, you ensure your search engine optimization won’t be hurt and your site will look consistent on every platform. 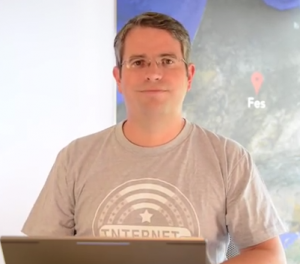 Usually Matt Cutts, esteemed Google engineer and head of Webspam, uses his regular videos to answer questions which can have a huge impact on a site’s visibility. He recently answered questions about using the Link Disavow Tool if you haven’t received a manual action, and he often delves into linking practices which Google views as spammy. But, earlier this week he took to YouTube to answer a simple question and give a small but unique tip webmasters might keep in mind in the future. Specifically, Cutts addressed the need to have a unique meta tag description for every individual page on your site. In an age where blogging causes pages to be created every day, creating a meta tag description can seem like a fruitless time-waster, and according to Cutts it kind of is. If you take the time to create a unique meta tag description for every page, you might see a slight boost in SEO over your competitors, but the difference will be negligible compared to the other aspects of your site you could spend that time improving. In fact, overall it may be better to simply leave the meta description empty than to invest your time paying attention to such a small detail. In fact, on his own blog, Cutts doesn’t bother to use meta descriptions at all. Cutts does say that you shouldn’t try to skimp on the meta tag descriptions by using copy directly from your blog. It is better to have no meta tag description than to possibly raise issues with duplicate content, and Google automatically scans your content to create a description any time you don’t make one. Social media has become a part of our lives whether we like it or not, and don’t expect that to change in the next year. In fact, if marketing trends are to be believed, 2014 could be the biggest year yet for social media marketing. Erik Sass reports a new study found that seven out of ten marketers expect to increase their spending on social media in the next year. The survey of 328 marketing professionals was conducted by Decipher on behalf of the Word of Mouth Marketing Association and the American Marketing Association. 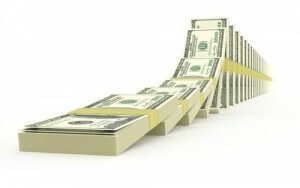 While 70 percent said they plan to increase their spending on social media marketing, only 53 percent expect to do the same for their email marketing, and print, product sampling, and TV advertising were all in much worse shape with less than 20 percent planning to increase their ad spending for each category. But, just because social media marketing is growing doesn’t mean all is well. The same survey found that 79 percent of marketing professionals struggled with measuring online social media and demonstrating return on investment. It seems that we know social media is an important part for establishing your brand online, but many are still having trouble actually measuring how effective it is. 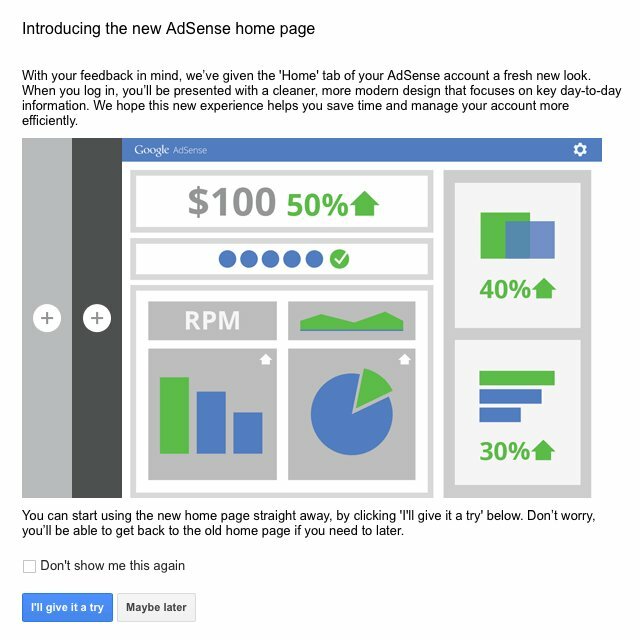 The gradual remodeling going on over at Google has made its way to AdSense. 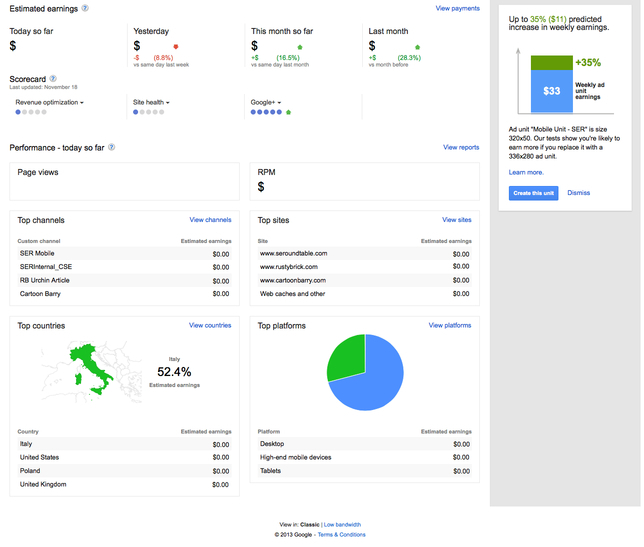 After subtly redoing their homepage and their logo, as well as those for select other Google products, the search engine is testing a new home page design for the AdSense publisher console. Ever since the roll-out of Google’s Penguin algorithm there has been a substantial amount of confusion regarding the current state of link building within the search marketing community. Thanks to Google’s vague practices everyone has an opinion on an algorithm which few actually understand in depth. Everything we know on this side comes from what Google has told us and what we’ve seen from data and analysis in the two years since Penguin came out. The fact of the matter is that link building in the post-Penguin climate is risky business, but it is important for your online presence. If anything, links are more potent for your visibility than ever before. The problem is the rules are stricter now. You can’t buy and sell wholesale links, and bad links can be heavily damaging to your traffic and profits. If you acquire quality links, your site is likely excelling in numerous areas and seeing success in both web traffic and search engine visibility. However, getting the wrong types of inbound links is almost certain to result in penalties from Google. In fact, Jayson DeMers from Search Engine Land says it is often more expensive to clean up the mess from bad backlinks than it would be to just acquire good links to begin with. So what exactly constitutes a bad link? A bad link is any which is gained through questionable methods or goes against Google’s best practices. DeMers pinpointed six of these link building tactics which are likely to cause you problems if you attempt them. Paid Links – Buying or selling links in the post-Penguin market is the same as putting a target on your website’s metaphorical back. 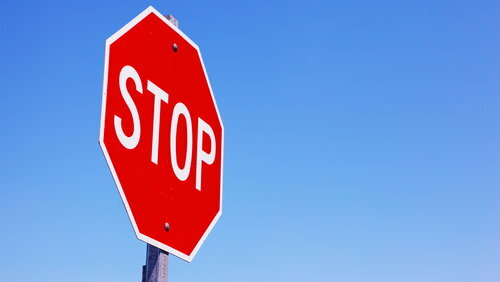 Your site will get seen and penalized. Google has openly stated multiple times that buying or selling links is a huge no-no, and even links from long ago can come back to haunt you. Article Directory Links – Article directory links were once a staple of link building because they were easy to get and they worked. But, low-quality spun content and distribution software relegated to the spammy category. At this point, Google has outright penalized many article directories, and this practice won’t help your SEO anymore. 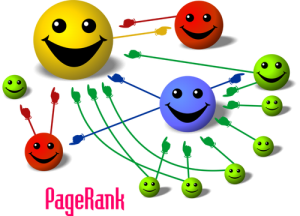 Link Exchanges – For years link exchanges were a highly popular form of link building. It almost seemed like common courtesy to practice the concept of “you link to me and I’ll link back to you”, but of course many began to abuse the system. Once it was compromised and turned into a large scale pattern of link scheming, Google shut it down. Low-Quality Press Releases – A press release is still a popular means of announcing important company information to the public, but don’t expect them to help your SEO. Most free press release submission websites are entirely ignored by Google. Low Quality Directory Links – There are still a small number of industry-specific directories that are great for helping certain industries gain good links and traffic, the majority of old, free directory sites have been de-indexed by Google, and the search engine has publicly denounced the practice. In general, you should be staying away from low-quality directory links. Link Pyramids, Wheels, Etc., – Over time, many SEOs came to believe they could get around Google’s watchful eye by using methods to artificially pass page rank through multiple layers of links, obscuring the distribution patter. But, in May, Matt Cutts, Google’s head of Webspam mentioned how the new version of Pengion has been refined to further fight link spammers and more accurately measure link quality. While we don’t know for sure what practices Cutts was referencing, it is widely believed he was talking about link pyramids and wheels. Local ranking has grown into its own over the past couple years. A combination of increased visibility and more shoppers using their smartphones to find local business on the go has made local SEO a significant part of online marketing and it can almost be treated entirely seperate from traditional SEO practices. By that I mean that while traditional SEO will still help your local optimization efforts, local SEO has its own list of unique ranking factors that local marketers have to keep in mind. Starting in 2008, David Mihm began identifying and exploring these unique local SEO ranking factors. After 5 years, Local Search Ranking Factors 2013 has found 83 foundational ranking factors. Each factor helps decide your placement in online search results and how well you manage all of these individual factors help how you end up ranking. They can be the difference between a boost in business and a heightened profile in your market or a wasted investment and floundering online presence. While you can find the full list of ranking factors on the Moz page for Local Search Ranking Factors 2013, the Moz team also took the time to create an illustrated guide to the 20 most important ranking factors for local businesses. While none of the factors they illustrate will come as a surprise to an experienced local marketer, they will help new website owners get their business out of the middle and in the top of the local market. Just a few years ago it would have been impossible to imagine how much social media has grown and become a part of our lives. Even during the heyday of Myspace and the rise of Facebook, no one could have predicted the sheer number of social media apps and websites available and popular these days. We tweet out our random thoughts, we Instagram our pictures, and using the right social media platform for your market can even help you get a job. The big news is that social media is not slowing down. With the app store flooded by social media apps, you would think their popularity would begin to wane, but social media continues to grow in just about every market. It isn’t a fad. Social media is a part of our lives. Just over 2 years ago Search Engine Journal published an infographic called the Growth of Social Media. Looking at the infographic now is practically nostalgic as it lists tons of platforms that have fallen entirely off the map, and it reminds us how quickly Pinterest, Reddit, and all the current sites flourished. But, the graphic is woefully out of date. That is why SEJ decided to update their graphic to reflect the state of social media today. No surprise, the numbers are even better now than they were before. You can see version 2.0 of The Growth of Social Media below, and the original version is still available at their site. The new types give advertisers more ways to improve their performance by showing them where they should invest their energies. For example, campaign suggestions include where to add sitelinks and where to raise bids to show your ads more often than your competitors. Google even gives you suggestions for breaking out ad groups to display more relevant ads, and highlights when bids can be safely lowered to stay within your budget without losing clicks. 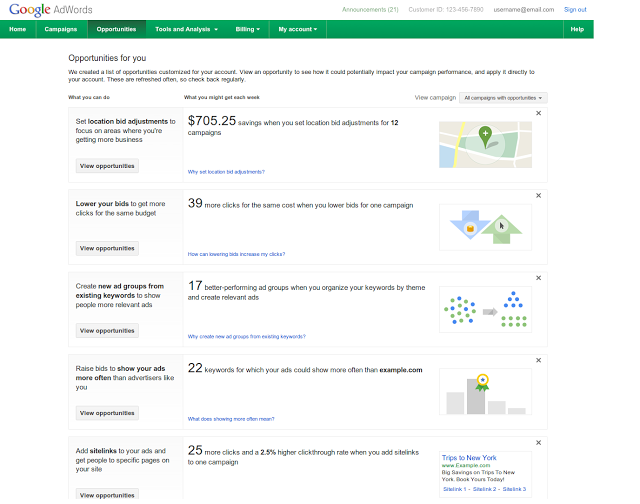 The opportunities tab is based on an account’s performance from the last seven days, and Google says they will be adding more opportunities to the tab in the future.